Many on the blog consider the HJC Open to be the second biggest event of the year. The biggest being the Concept of the Year vote. 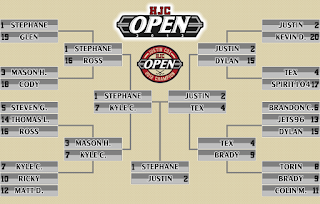 However, the Open may be just as difficult to win. 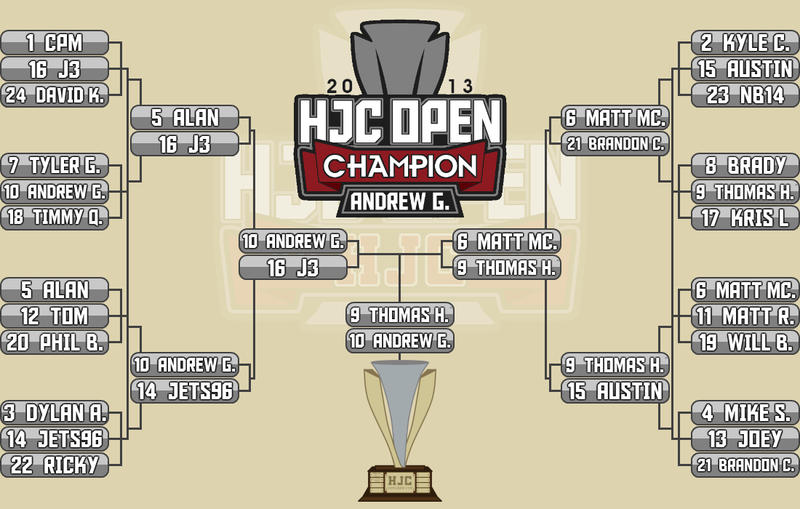 If you haven't been around for a HJC Open, it's quite simple. Concept artists work their way through a bracket style tournament, going head-to-head with another concept artist. We've had brackets of 23, 20, 16, and 8. 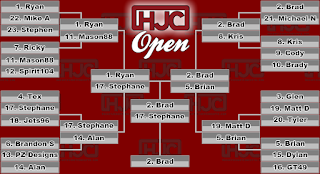 Originally we accepted artists on a first come first served basis, but last year we started with a "Round Robin" where anyone could get in the HJC Open. This year will also feature a Round Robin. 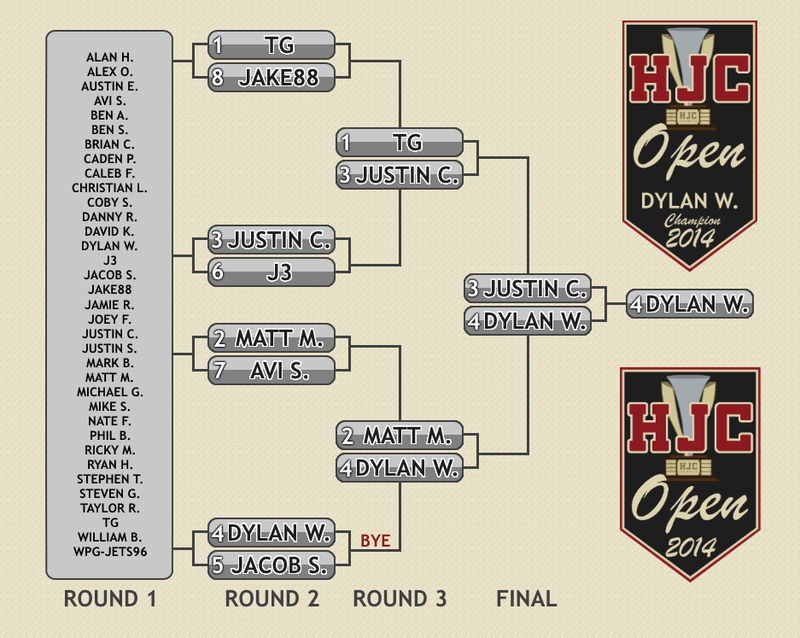 Everyone who enters has a shot to get into the brackets. The top 16 concepts as voted by the readers will make it. We'll seed those artists 1-16 based on how they ranked during the voting phase. 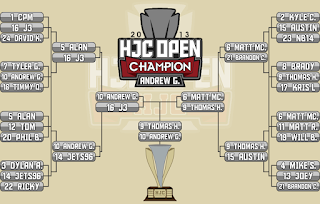 Tie breakers are settled by the amount of COTW wins an artist has in 2015. 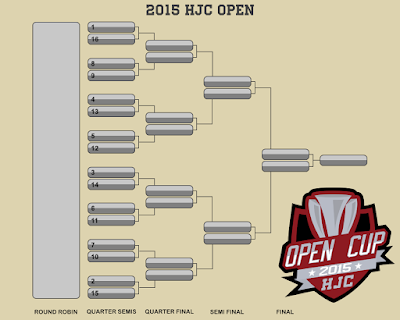 Artists are not reseeded after each round such as the NHL used to do when their playoffs were conference based. If you want to win you'll need to create 5 new concepts. 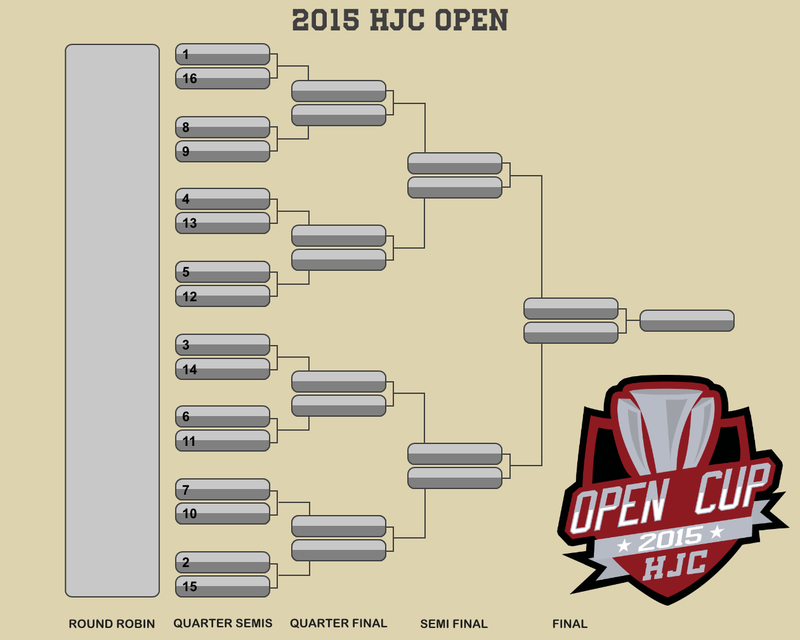 I suggest you have those concepts created ahead of time as this tournament moves fast. I'll post the deadlines later in this post. You'll need a strategy. Do you risk holding a great concept for later rounds? 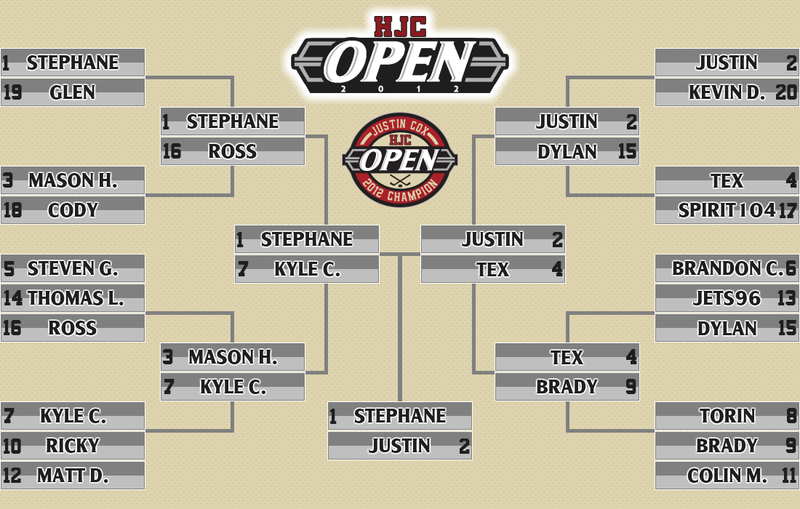 Do you lay down your best in the Round Robin to try and get into the bracketed 16? Maybe you have a great idea for a concept that can win the tournament, but do you have enough ideas to even get you to the Final? 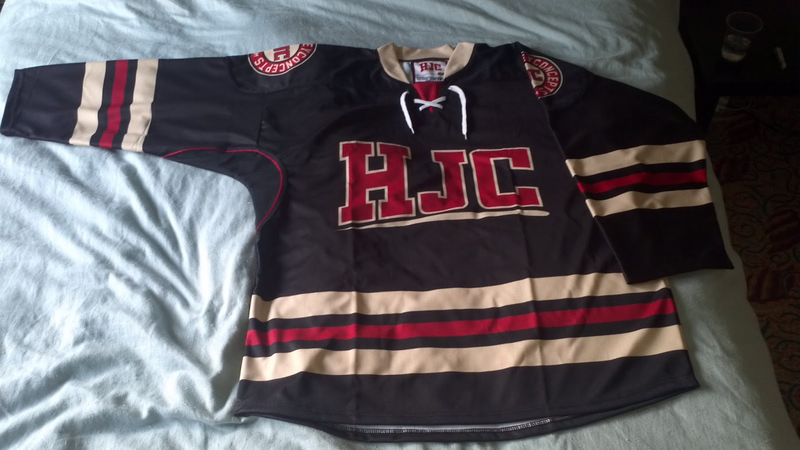 2012: Winner (Justin C.) received a very rare HJC Jersey! 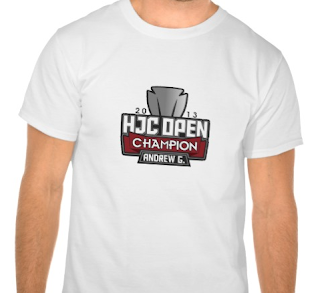 2013: Winner (Andrew G.) received a HJC Open Champion t-shirt and had an entire post dedicated to his work, with all concepts eligible for COTW nominating. 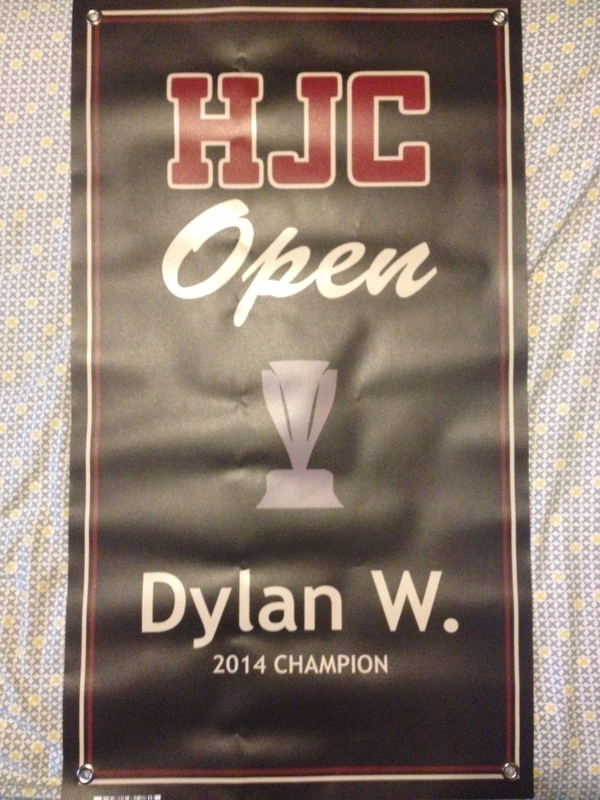 2014: Winner (Dylan N.) received a championship banner. 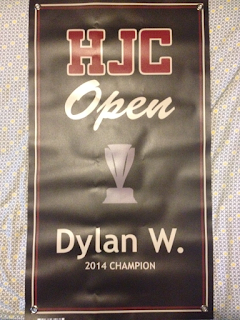 It was supposed to be a mini championship banner, but it turns out that having a regular sized banner made is cheaper than a mini banner. 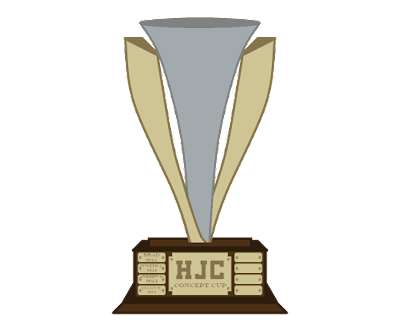 2015: The winner will again receive a championship banner. You'll be able to hang this thing from your rafters. You'll be able to show it to your kids in 10 years so they can laugh at you. It will be awesome! In addition to the prizes, each winner gets their name "etched" onto the Concept Cup! 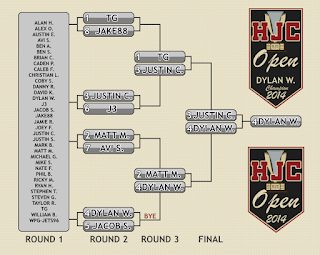 Brackets from past years are shown below. You can reminisce about how well or poorly you did. Maybe even be reminded of some HJC artists who have moved on. Do you have what it takes to be the 2015 Champion? It all begins this Saturday, June 27.